When the United States Department of Agriculture Natural Resources Conservation Services expanded their work on the Object Modeling System with teams spread across the globe, they realized they needed a powerful collaborative software development platform. The USDA team of 250 members started looking for a solution to facilitate web-based team communication, issue tracking, user access permissions, collaborative code and document management while leveraging existing version control systems. Due to its out of the box integrations, ease of installation and use, and robust collaborative features, codeBeamer ALM was chosen in August 2004. USDA/NRCS still uses codeBeamer to support collaboration among its dispersed development teams today. 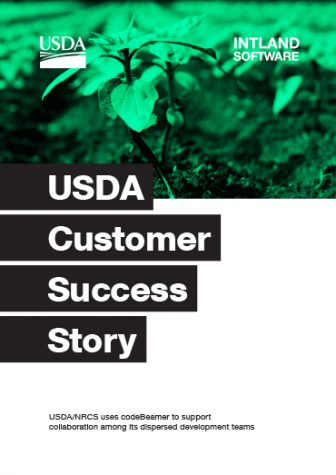 Download this short success story to better understand the needs of USDA prior to implementing integrated ALM, as well as the benefits codeBeamer ALM has brought to this organization.